I'm restoring a 1987 Peugeot and will set it up as a time trial bike for tri. 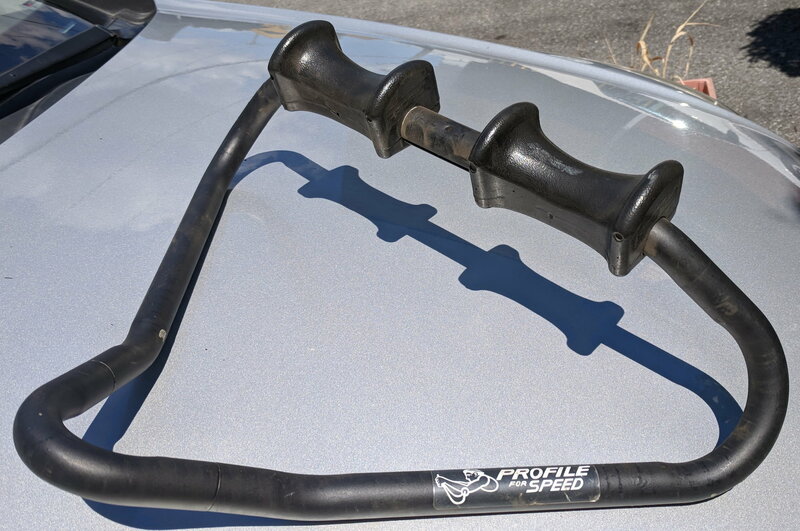 I just picked up these aerobars for $10. The logo is so basic it makes me think these may be close to first generation. Anyone out there recognise them? Yes, I had a friend who used them in the late 80s. These were the other option to using Profile clip-on bars (which I used). Triathlon was a new sport then...these were used by the dedicated triathlete. 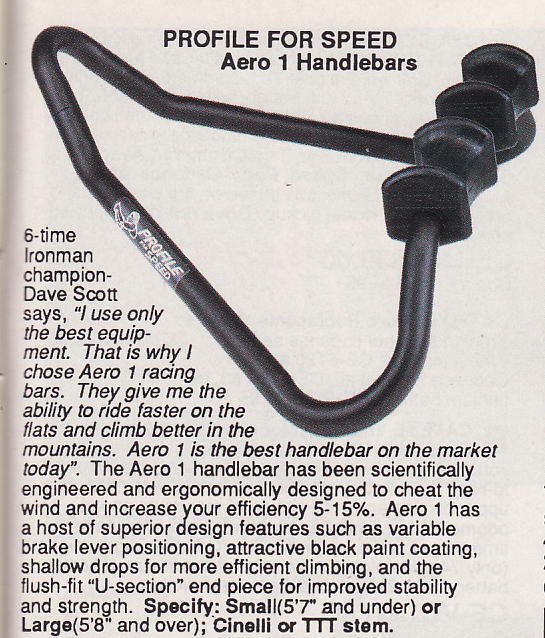 Although I can't recall how these bars were mounted on the old style stem. Looks like they come apart in the front section, with the arm rest removed, so that they could be "snaked" through the stem, and then the arm rest replaced. 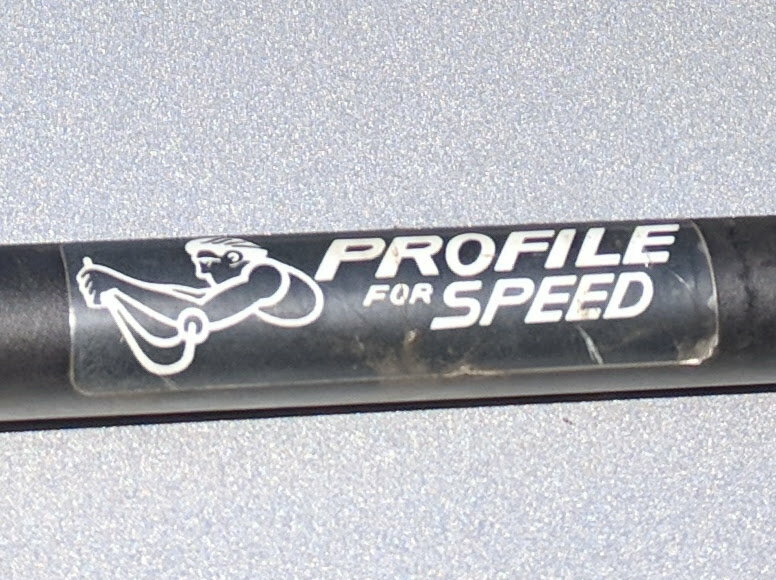 Profile For Speed, Aero 1 handlebars, 1989-1991. Original price was $74.95 US but they were being closed out at the end of 1991 for $20 US. Last edited by T-Mar; 07-23-18 at 08:34 AM. Amazing stuff - thanks, T-Mar!